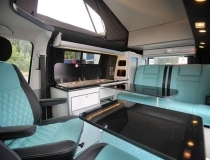 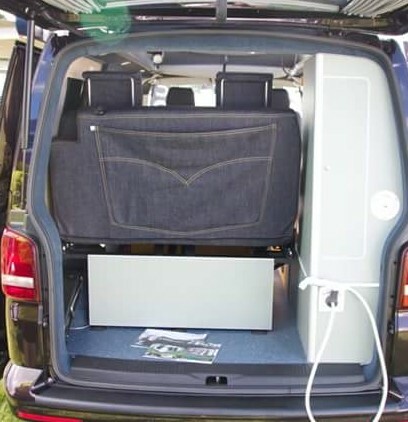 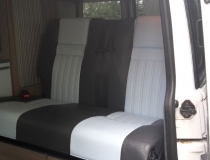 Uberbus VW T5 conversions show bus. 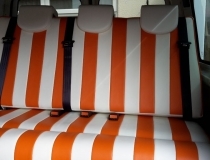 They wanted a little something different to the normal leather upholstery. 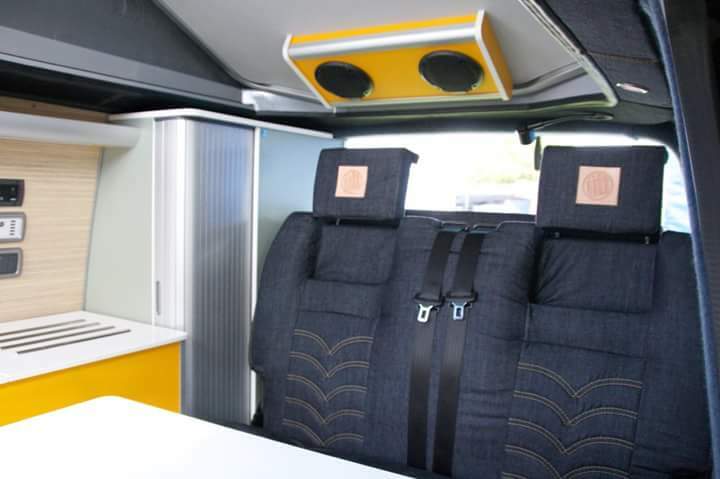 We re upholstered the seats and rock and roll bed in a lovely Dark denim fabric. 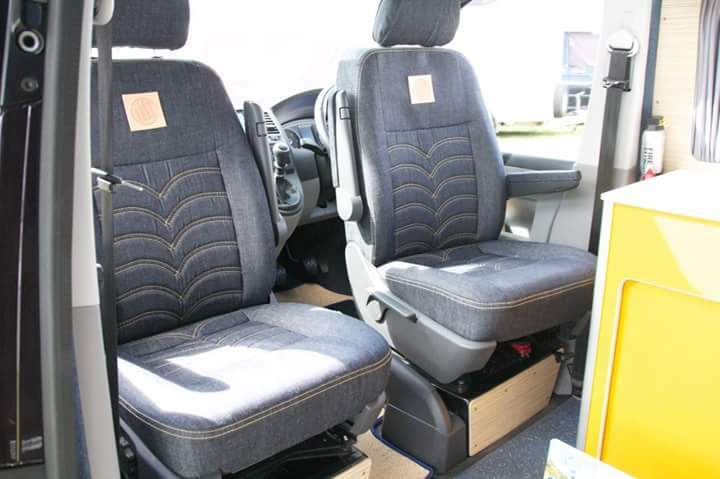 The central panels have been stitched in a jean style, and even the Uberbus logo has been pressed into a square of leather, similar to what you see on a pair of jeans. 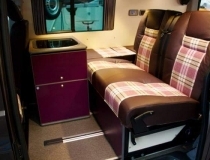 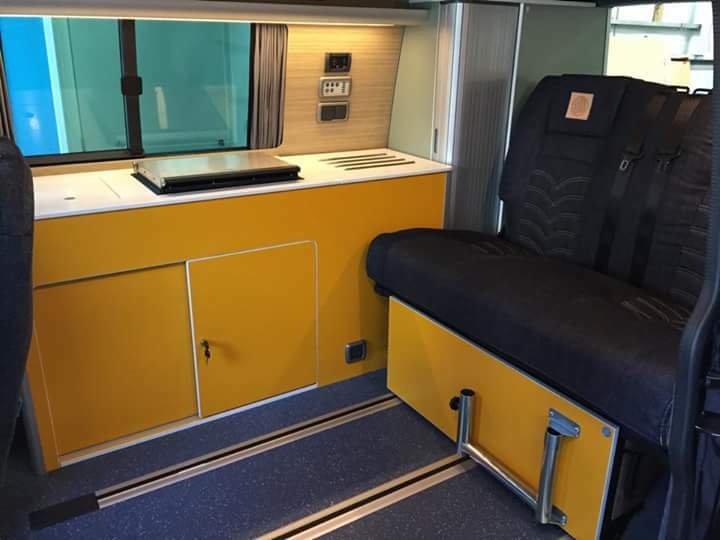 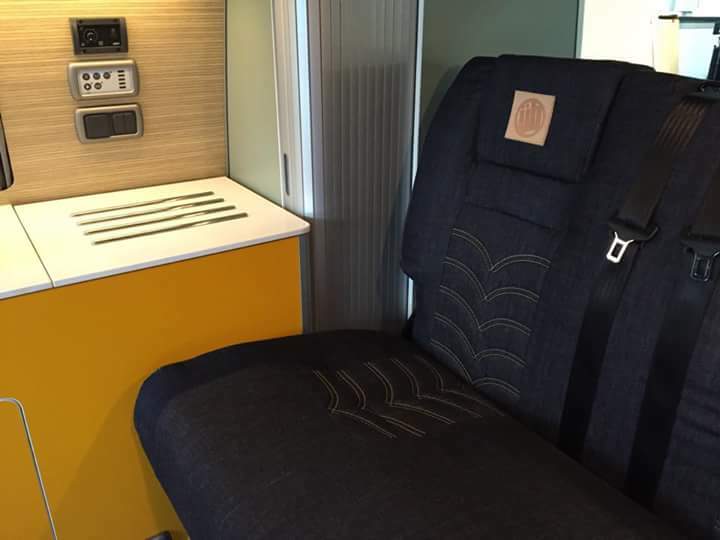 The rock and roll bed even has a giant jean style pocket stitched to the rear, which can be viewed when the seat is in the Upright position.